A seasoned bartender for joints both upscale and lowbrow, our coworker Molly Sterrs has seen her fair share of Hudson Valley watering holes. Call it professional curiosity, but Molly is always on the lookout for that perfect bar. For the record, "perfect" doesn't necessarily mean Brooklyn-chic, subway-tiled, uppity craft cocktail lounge—sometimes it's a good ol' fashioned, dart shootin', dark corners, cash only dive bar. So if you feel like getting a little grungy and drinking till the sun comes up, here is Molly's list of the Hudson Valley's 10 best dive bars, in no particular order. 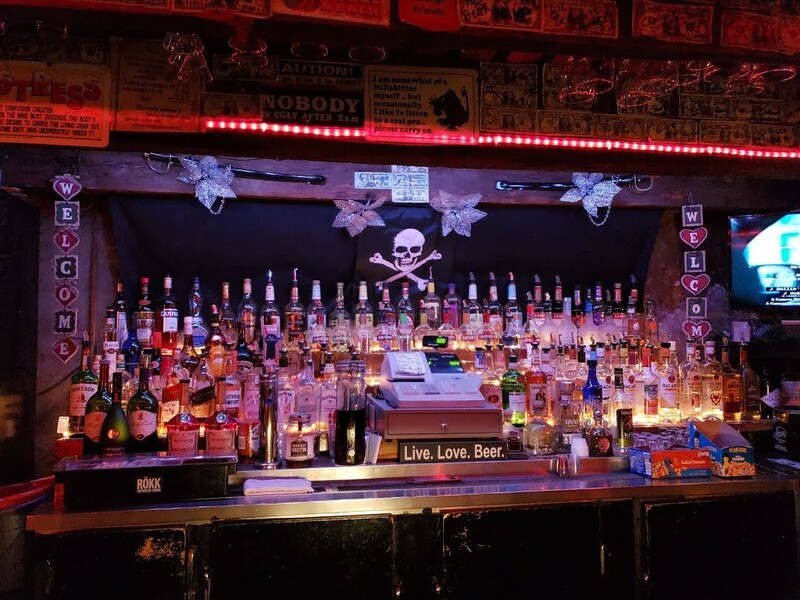 A pirate dive bar! Arrrr, time to screw in the old wooden leg and hobble down to this creekside establishment for a couple of pints at the oldest bar in Catskill. For lovers of the kitsch and the nautical Captain Kidd's is a dream come true, with super friendly service to boot. 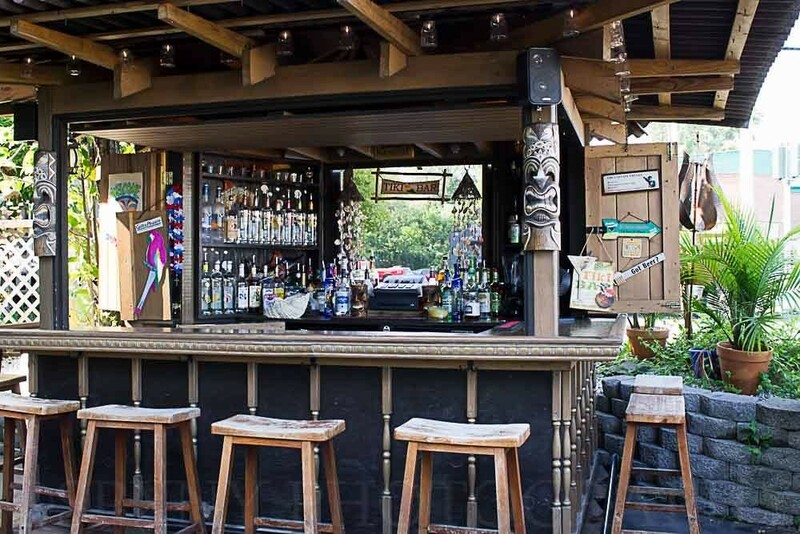 In summer, the outdoor tiki bar is the only place to be. The tiki bar at Captain Kidd's Inn. Uptown's infamous dive bar, Snappers is "the best place to avoid anyone, or party with everyone, depending on your mood," says Molly, who admits this is her local stomping ground. With games both new and old (darts, pinball, Buck Hunter) and a CD jukebox, it's easy to see how people people drink away the hours here. "This is basically a cleaner version of Snapper's," Molly says. A classic (American) Irish pub, Joe's subsists on a faithful group of rowdy regulars. First timers may feel on the outside of this tight-knit community. Come Sunday, football is on every screen. And while this may not be the best place to order a fancy cocktail, it's a great spot to throw back a Coors Lite and scream at a screen for a few hours. Aside the classy/trashy leopard print bar, the lofty ceilings, and huge windows, this is a classic dive if there ever was one, full of knickknacks and whatnots. In the back you'll find Skee Ball, shuffle bowling, Frogger, darts, and pinball to keep your DD entertained while you drink the night away. The scuffed wood floor has an old cantina feel. Sometimes men's room door gets lodged open, so don't be shocked if you see someone peeing. "Palais Royale is open until 4am and full of industry folks who will buy you drinks with their tips if they had a good night," advises Molly. 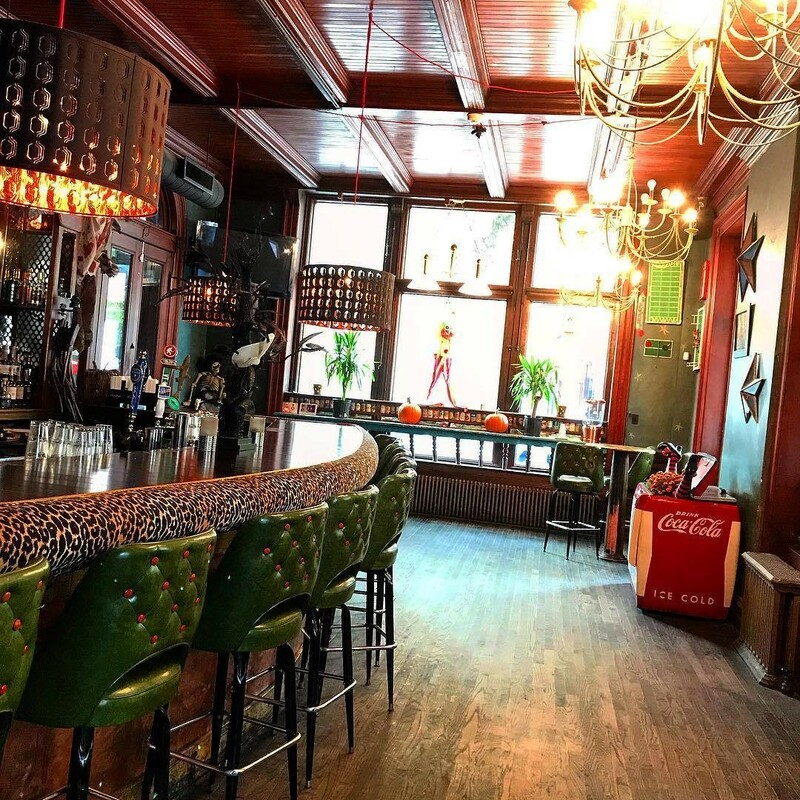 This place has pretty much everything you want in a dive bar (darts, darkness, domestic beer), but with the added bonus of some craft beer options, for when you want to class it up. Famous for their steaming hot empanadas, this is a place you come for late-night munchies. So stake out a spot at the bar, order a can of Miller Lite, and drop some quarters in the jukebox. "The Shelter—because drinking underground is always fun," Molly says simply. At the bottom of a narrow stairwell, between two boutique storefronts in Rhinebeck, the Shelter is a little gem of a basement hideout—not a true dive bar, but prolly as close as Rhinebeck will ever get. A large U-shaped bar divides the space into band-side and pool table-side. The crowd gets pretty bro-y on weekends, but the bands are usually good. Just a couple blocks from the train station and the waterfront, Tavern 23 is a classic neighborhood bar with "decent food to soak up the booze" (thanks, Molly). It perfectly straddles the high-brow-low-brow line with tin ceilings, craft beer, pub grub, and an aquarium behind the bar. This is the type of place where everyone knows your name. The Hopewell Inn is the oldest pub in Hopewell Junction, but that doesn't mean it takes itself too seriously. This may be the only inland bar in New York State where you can find a full outdoor "beachyard," replete with sand, sunchairs, grass umbrellas, and Coronas. "The beachy theme makes no sense, but it works," says Molly. The draft beer is cheap, the live music is decent, and the atmosphere is fun and friendly. The Golden Rail Ale House claims to be the first craft beer bar in the Hudson Valley. What we do know for sure, thanks to Molly is that, "this bar was featured in Super Troopers and has more beers on tap than one person could ever drink—plus regulars get personalized mugs." (#goals). Set in a historic building, the ale house serves up a mean basket of wings and some bang-up empanadas. Head there on Wednesdays to croon your heart out during karaoke night. "There's no place I'd rather boogie down until I can't stand anymore than Half Moon," Molly says. Chill, cheap, and unpretentious, Half Moon is the last of its kind in Hudson. On any given night, there might be be an unbelievable 8-piece band from Niger, an industrial goth DJ, or a honky tonk two-stepin' class. This is a neighborhood haunt, where people know you by your name. There's a pool table too, and a large enclosed patio for summer drinkin'.